Who Should Take Home the Daytime Emmy for Outstanding Younger Actor in a Drama Series? 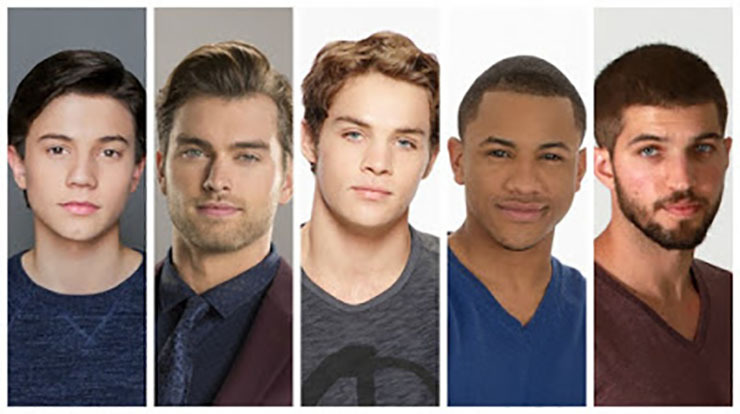 The nominees for the 44th Annual Daytime Emmy Award for Outstanding Younger Actor in a Drama Series. The 44th Annual Daytime Emmy Awards are coming up, soap fans. Here are the nominees for Outstanding Younger Actor in a Drama Series and the work they submitted for consideration. Watch the videos, then vote in our poll to tell us who you think should win the coveted trophy! Who Should Win the 44th Annual Daytime Emmy Award for Outstanding Younger Actor in a Drama Series? Previous ArticleWho Should Take Home the Daytime Emmy for Outstanding Younger Actress in a Drama Series? Next Article General Hospital Spoilers, Monday, April 17th: Carly Tells Sonny Where He Can Go!